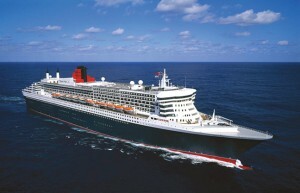 Cunard retains tradition in the design and deployment of their ships with Transatlantic crossings a perennial favorite. The Queen Mary 2 carries 2600 passengers and is a 150,000 ton vessel. This prestigious British line began operations in 1840 when Sir Samuel Cunard, a Canadian pioneer of regular transatlantic navigation, formed a fleet of four ships to deliver mail between Liverpool, Halifax and Boston. Cunard, now owned by Carnival Corporation, operates classic liners providing passengers with traditional elegance and a British ambiance. The level of service varies between premium and luxury, depending on the type of accommodation you book – which in turn determines which of the restaurants on the ship you will dine in. Officers are Norwegian and British, and crew are international.